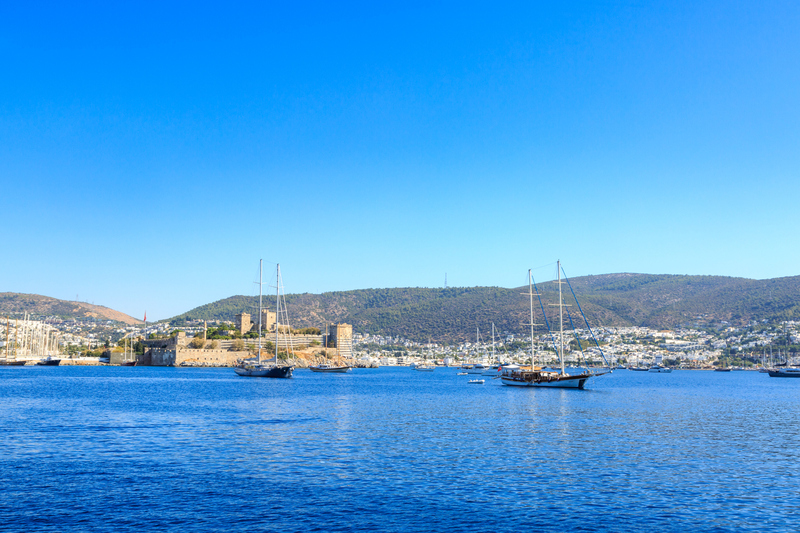 In Bodrum, you can discover the perfection of the Turkish coasts. Set along the coast, all-inclusive resorts draw holiday-goers for a full Turkish hospitality experience. At the same time, Bodrum is ideal for visitors seeking solitude and privacy. You can relax in boutique hotels or enjoy pristine nature from a campsite or a rustic bungalow. The town is also the stage for the craziest nights of the south, with popular nightclubs and exciting parties. 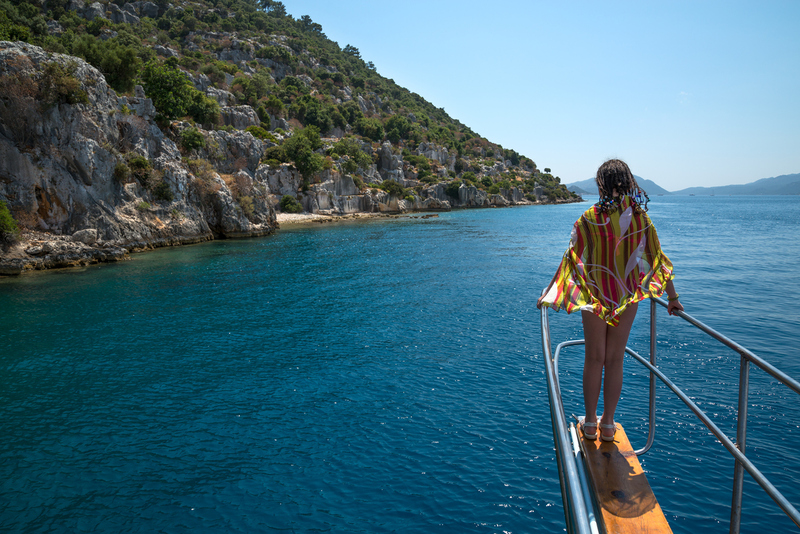 If you are planning on taking one of Turkey’s famous Blue Cruises, you’ll probably come to Fethiye to embark on one of these private gulets (yacht) tours. Organized by various companies, the tours are usually three to four days and include stops at nearby islands; in the meantime, you can swim in pristine water and dive into the crazy Turkish nights. 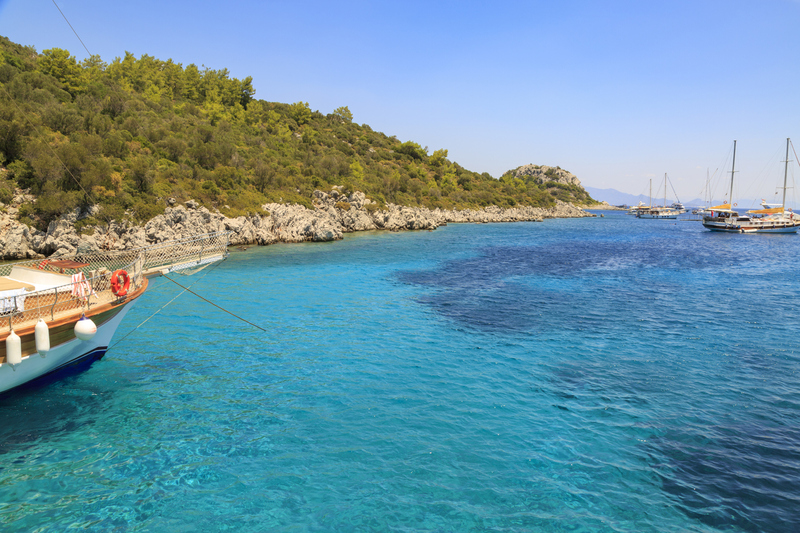 Fethiye also enchants visitors with its natural surroundings. Featuring forest campsites, adventure seekers can explore caves, waterfalls and hills. 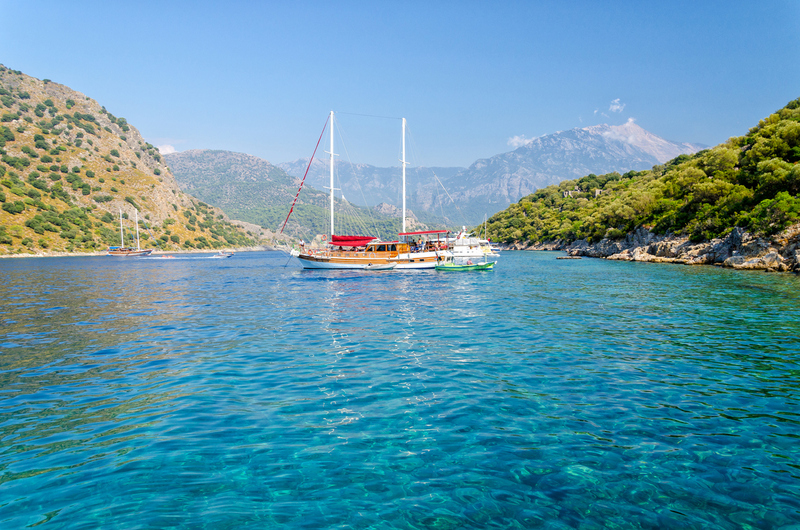 Boasting a famously mild climate, most of Antalya’s resorts are booked year round. If you are considering a holiday in Antalya, you should act quickly and reserve your room early! But it is not just Antalya’s fine weather that makes the city so popular: There are plenty of natural wonders and historical sites to see around Antalya. The Duden Waterfalls, Hadrian’s Gate and the Yivli Minare Mosque are just a few of the natural and historic sites of this holiday destination that has hosted western and eastern civilisations throughout history. As beautiful as its neighbors, Marmaris is also popular for its affordability. It is possible to book a room in one of the area’s beachfront resorts at a very advantageous rate, especially during the early discount periods. The sea around Marmaris is calm, and İçmeler Beach is among Marmaris’ most well-known beaches! While it can get crowded in the summer, the water is crystal clear and suitable for swimming. Another must-see in Marmaris is the Marmaris Castle, one of the oldest structures in the region.